I’m not sure what attracted me to this book other than that I read a lot of true crime. I’m also not sure I realized at first that it would take place a mere 60 miles down the road from Rockport. Written by Beeville’s native son, James P. McCollom, this semi-true crime/semi-memoir is based in part on his own childhood at a time when a fearsome man was sheriff and stayed in office by ruling the ballot boxes. In addition to telling the story of Sheriff Vail Ennis, a controversial figure who was part hero part renegade, it is the story of Johnny Barnhart, a local boy who made good, first as a student at the University of Texas-Austin, and then as a lawmaker and lawyer. In a lot of ways the stories are reminiscent of recent events—lawmen getting away with killing unarmed, un-convicted, and possibly even innocent people of color, labeling anyone who sounds progressive or idealistic as being Communist and unpatriotic, and electoral shenanigans designed to tamper with votes and influence elections. 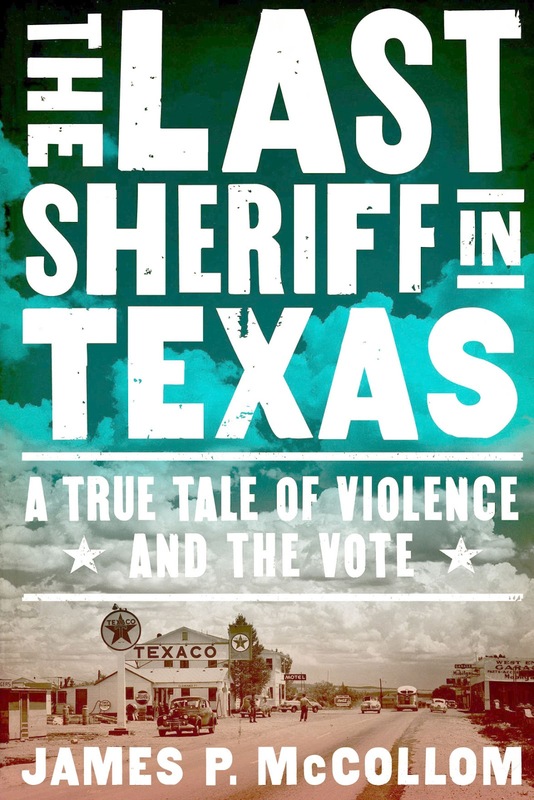 After Sheriff John McCollom, the author’s grandfather, moved Beeville and Bee County out of the era of the KKK and Prohibition without ever firing his gun, Sheriff Ennis came into office and reckless times began again. By his own reckoning, Ennis served as judge, jury, and executioner to anyone he deemed was a danger to the good people of Beeville, where “a woman would walk down the street knowing she would be protected from all harm” at any time day or night. Before Ennis left office, he had killed eight men. 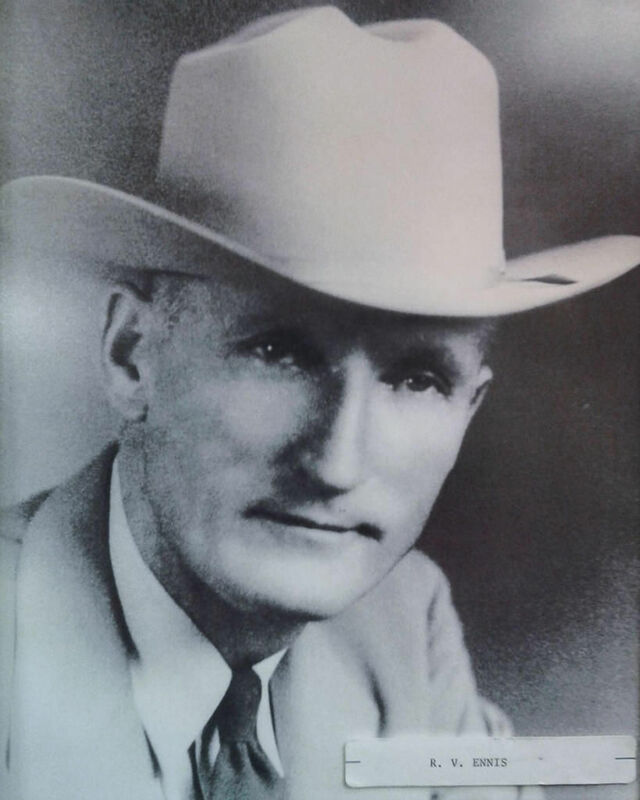 “No other lawman in Texas had killed so many men.” Ennis served from 1947 until the 1952 election that is the focus of The Last Sheriff in Texas. It is at the time leading up to the election of 1952 where Ennis’s story converges with Barnhart’s. The narrative is sometimes a bit repetitive and McCollom’s distain for the way Ennis ran the town is obvious. But readers, especially those with long time ties to the Coastal Bend will find the details of Beeville and its citizens to be especially fascinating. Even fifty years later people “could tell you exactly where they were on the day Sheriff Vail Ennis was shot five times…” and their stories are compelling. Sadly, much of the story remains relevant in today’s toxic political, governmental, and racially charged environment. But the story also shows the power of a few people who refuse to remain silent. A final chapter explores changes in Bee County in the years after its 1958 Centennial and describes what happened to key characters following the 1952 election. From an historical perspective, I would have like some photographs. I read the book in electronic format but the print copies don’t appear to have photographs either.